Camera IP Dome GEOVISION GV-VD8700 8MP H.265 Low Lux WDR IR Vandal Proof IP Dome - Nhận diện khuôn mặt - TAM TOAN THANG CORP. The GV-VD8700 Vandal Proof IP Dome camera features on-edge face detection technology supported by the camera’s user database of previously enrolled face data. You can create face data simply by using a typical portrait taken by your phone, or a snapshot taken from live videos. Up to 10,000 face data can be stored and categorized to facilitate customer service or security management in business environments, e.g. VIP detection or access control. 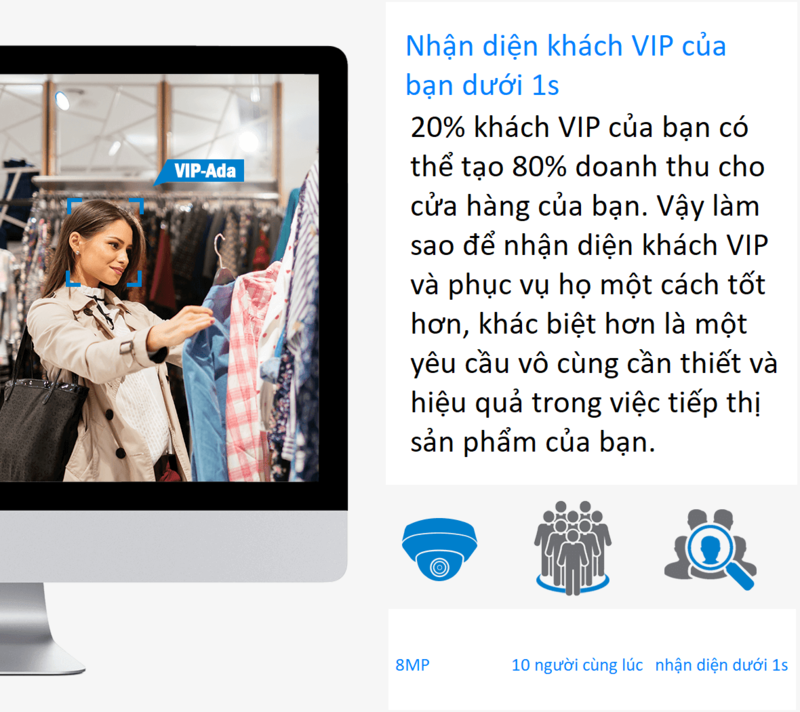 Faces can be recognized from a distance of 4 meters and within 2 seconds to identify VIP guests or potential intruders. 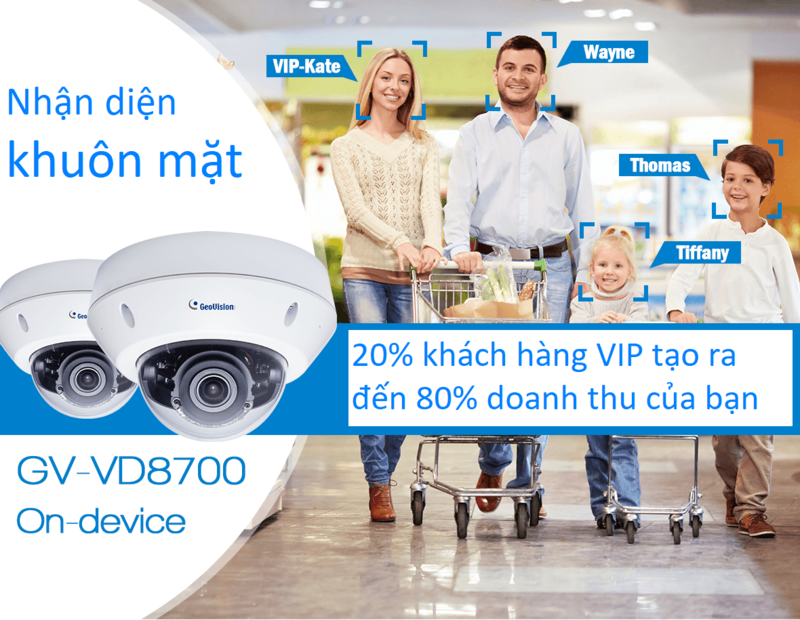 Even if multiple guests walk past the camera simultaneously, their faces won’t be missed as the GV-VD8700 can recognize up to 10 faces at the same time. Events can be kept in the database for up to 7 days. In addition, 3 GB of snapshots can be kept in the micro-SD card. As an outdoor camera, GV-VD8700 is designed with IK10 vandal resistance and IP66 ingress protection. The camera can support H.265 video codec to achieve better compression ratio while maintaining high-quality pictures at reduced network bandwidths. For night operations, the camera allows up to 40 m (131.23 ft) IR effective distance. Its WDR and Backlight Compensation allow the camera to detect faces in environments where lighting contrast is sharp. The camera also uses P‐iris to produce images with better clarity and contrast. It is adjustable in 3 axis (pan, tilt and rotate).